Procurement in Australia is estimated to be approximately $600 billion, and social procurement (when organisations choose to purchase a social outcome when they buy goods or services from social enterprises, including indigenous business and disability service organisations) is rapidly on the rise. Here are five reasons why the time has never been better for social enterprises to get a slice of the social procurement pie in Australia. Governments buy huge volumes of stuff, and there’s a growing realisation that a relatively small shift in their buying behaviour can have enormous impact in strengthening Australian communities and generating positive impact. In April this year the Victorian State Government provided strong policy leadership, launching a Social Procurement Framework requiring all Government departments to have strategies in place to increase their purchasing from social enterprise. This is an Australian first, and other state governments are beginning to follow Victoria’s lead. 50% of global consumers surveyed are willing to pay more for goods and services from companies that have implemented programs to give back to society (Nielsen 2011). This evolution of consumer consciousness is shifting the way in which we perceive and identify value, challenging the traditional market levers of price and quantity; and thereby the way with which we make purchasing decisions. There is real and recognised momentum and demand by consumers for purchasing goods and services that are attached to positive outcomes. It’s more palpable now than ever before, that price alone isn’t a great indicator of the health of a market or ecosystem. There needs to be more. In case you haven’t noticed, Australia is undergoing an infrastructure boom. The Federal Government’s Budget pledge to spend over $70 billion on nation-building infrastructure projects over the next decade means there will be tens of thousands of contracts up for grabs looking for catering and hospitality services, packaging, transport, freight, retail, medical services and so on. This represents a once in a generation opportunity to reduce social inequality by bringing disadvantaged people into the labour market; whether they’re young people at risk, people with a disability, the long term unemployed or recently arrived migrants and refugees. It also represents a great opportunity to strengthen Australian communities and minimise environmental impacts. According to The Business Case for Purpose (EY 2016), 58% of companies that prioritised purpose achieved 10% or more revenue growth over 10 years. As well as generating a positive social or environmental impact, buying from social enterprises and other purpose-led businesses is being recognised as delivering many competitive advantages that include enhanced staff attraction and retention, investor sentiment, customer engagement and brand building. Since the beginning of 2017, Social Traders has worked with a range of business and government buyers including organisations like John Holland, Coca-Cola Amatil, Laing O’Rourke, Boral, Australia Post, Mirvac and others, who collectively have spent approximately $28 million with social enterprises. By 2021 we expect to facilitate $105 million in trade between buyers and Social Traders certified social enterprises. Social Traders certifies social enterprises and offers services to support their growth and impact. We make introductions, host networking events, and work with business and government buyers to open new opportunities for social enterprises by connecting them. In short, we enable deals and growth opportunities for social enterprises that wouldn’t otherwise occur. The Social Enterprise Conference is on August 15 and open to enterprises who are interested to know more about social procurement, who’s doing what and why, and to meet other social enterprises and buyer organisations at similar stages in their journey. BUY TICKETS. 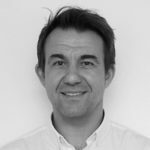 Mark Hemetsberger was appointed Head of Marketing at Social Traders in 2015 and has responsibility for Social Traders’ brand, marketing and communication activities. He also leads Social Traders advocacy and leadership activities that include the Social Enterprise Awards and Masters Conference. Each year JBWere puts together an annual update of giving trends in Australia. The report uses a variety of sources to paint a comprehensive and compelling picture of the current direction for giving. The following represent the key takeaways from this year’s report, ‘Australian Giving Trends – Signs of Life’.